Ernest Marvin Jennings was born November 14, 1945, to Marvin and Janice Jennings. Ernie spent his young life in Waco, Texas where his dad was Principal of Richfield High School. He served in the Marines and graduated from Baylor University. 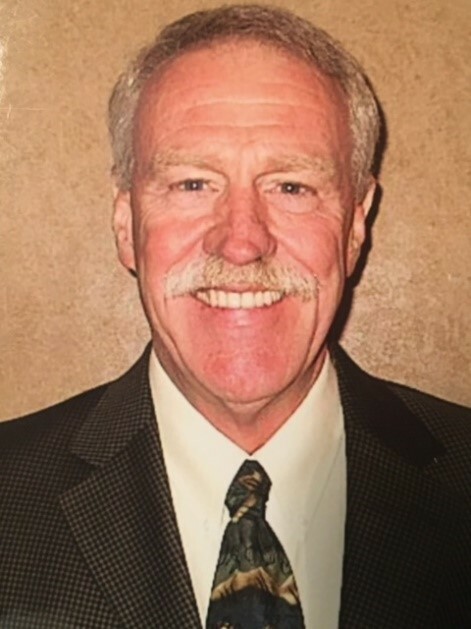 He had a lifelong career of nearly 48 years with State Farm Insurance Company in multiple roles, most of those as an agent in Coppell, Texas, where he retired last December. He was a loving and dedicated father to his son Matthew Jennings. Ernie served Coppell schools and community through the years in many capacities. He was a Christian who practiced philanthropy, many times anonymously. His favorite pastimes centered around nature, most recently in Ruidoso, New Mexico, and Possum Kingdom Lake, Texas. He was a published author and enjoyed running, hunting, hiking, furniture-building, boating, and maintaining a show place yard. He was a sports enthusiast, especially when his grandkids or the Baylor Bears were involved. He loved western art and co-owned, with his wife, Andrea, “Our Neck of the Woods” in Graham, Texas, where they sold art, primitive Texas furniture, and unique home decor. They recently moved to Pecan Plantation near Granbury, Texas. He will be greatly missed by his wife, Andrea Jennings of Granbury, TX; son, Matthew Jennings and family: Angela, Savannah and Colton Jennings of Cross Roads, TX; step-daughter Reagan and family: Cody, Molly and Graham Garrison of Granbury, TX; step-daughter Erin and family: Ethan, Lair and Lake Vickery of Colleyville, TX; sister, Claudia Dickerson of Gold River, California; niece, Laura Howard of Portland, Oregon; extended family and many good friends. Ernie battled cancer for five years with determination and a positive spirit. He gave love generously and will leave a giant hole in our hearts! A visitation and memorial service will be held for Ernie at White’s Chapel United Methodist Church, 185 S. White Chapel Blvd., Southlake, Texas, in the Founder’s Chapel on Monday, September 10, 2018, at 3:00 pm. In lieu of flowers, family requests donations to a favorite charity or to Hospice of Granbury/Patient Care.